A new outdoor living space opens up possibilities for relaxation and entertainment. 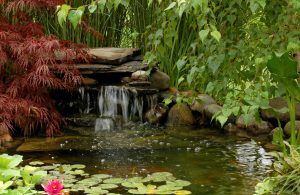 At IVY STUDIO, a boutique landscape design and build consulting business in Massachusetts, our design professionals are trained to work in concert with you in expanding your outdoor living with functional and aesthetically pleasing designs that are an extension of your home and your personality. A detailed design requires a great amount of dedicated time and effort and while traditional designs were hand drawn to scale on graph paper, today we employ innovative and modern design options. Our real-time three D designs burst with creativity and allow us to display our visions in accurate renderings that allow you to see what the design will look when we have completed the implementing thereof. Call us to discuss opening the door to new outdoor environment ideas. We can be reached at 781- 591- 0300 or at vern@ivystudioMA.com to schedule a no obligation design consultation.